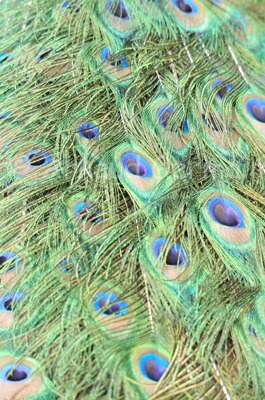 I took this close up shot of peacock feathers at Dartmoor Wildlife Park, Devon. The peacocks are allowed to roam freely in the Park and this particular bird let us come very close. I used my my 300mm lens and handheld the camera to get the shot.